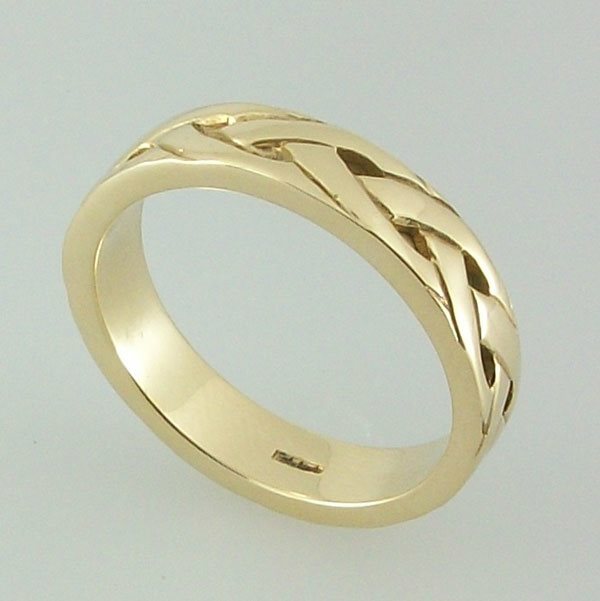 Celtic twist ring 9ct Gold unisex ring. Hallmaked at the Edinburgh office. Supplied with a presentation box. Simple but stunning celtic interlace ring designed and handcrafted in Scotland.The traditional matching ladies and gents bands are popular as wedding rings the interlacing Celtic knot work symbolises eternal life.